In part two of this series, we showed how Apostle Paul believed there would be a resurrection of both the righteous and wicked dead. Jesus indicated by His references to the people of Sodom, Nineveh and other ancient cities, that the unsaved dead would be resurrected to face judgement. Let's look at several additional Scriptures that teach all humans will face judgement. Hebrews 9:27: Man is destined to die once, and after that to face judgment. Romans 14:10-12: For we will all stand before God's judgment seat. It is written: As surely as I live,' says the Lord, `every knee will bow before me; every tongue will confess to God.'" So then, each of us will give an account of himself to God. 2 Corinthians 5:10: For we must all appear before the judgment seat of Christ, that each one may receive what is due him for the things done while in the body, whether good or bad. When Paul and others speak of judgement, it appears to be a judgement that will apply to all humans who have ever lived. Since it is obvious that every knee does not bow before God in this physical life, statements about appearing before the judgement seat of God where every knee will bow must pertain to an existence beyond this physical life. Paul made a statement that indicates that all humans who have ever lived are made alive because of the Christ event. 1 Corinthians 15:21-22. For since death came through a man, the resurrection of the dead comes also through a man. For as in Adam all die, so in Christ all will be made alive. We know we all physically die as a result of sin that began with Adam. We know from the Scriptures that our sin separates us from God which some see as spiritual death. We know from the Scriptures that our death would be permanent if it wasn’t for the Christ event. Paul is saying that because of what Christ did we are all made alive. Scripture shows the sinless life Christ lived is applied to us so we can be reconciled to God. This is clearly spelled out in the Scriptures as the pathway to eternal life. What also is spelled out in the Scriptures is that we must express faith in what Christ did to facilitate eternal life. This faith includes recognition of His lordship over our lives which means we are submissive and obedient to His will and the will of God the Father. As shown in part one of this series, for those who express faith in Christ and submit to his will during this physical life, there is an actual passage from death unto life while yet physical. Jesus said those who believe in Him and keep his word would never die. Since we all physically die, Jesus could not have been referring to physical death. He must have been referring to never dying spiritually or never dying an eternal death. For those who place faith in Jesus, physical death appears to be simply a transition to a different mode of existence, a spiritual existence that is already resident within a born again believer. Jesus told the Pharisee Nicodemus one must be born again to enter the Kingdom of God. Entering the Kingdom is commensurate with entering eternal life. Jesus showed to be born of the Spirit is a spiritual experience. John 3:5-6: Jesus answered, "I tell you the truth, no one can enter the kingdom of God unless he is born of water and the Spirit. Flesh gives birth to flesh, but the Spirit gives birth to spirit. You should not be surprised at my saying, `You must be born again.' The wind blows wherever it pleases. You hear its sound, but you cannot tell where it comes from or where it is going. So it is with everyone born of the Spirit." Being born again is having the seed of eternal life dwelling within the physical body. Apostle Peter wrote of being born again of imperishable seed which is congruent with having immortality which is imperishable. When Paul says all will be made alive in Christ, does Paul mean all humans who have ever lived? Since Paul contrasts all being made alive in Christ with all dying in Adam, it would appear that all means all in this case since we all die in Adam. If this is true, the unsaved dead are also made alive. What kind of life are the unsaved dead given? Immortal life appears to be given only to the saved dead. Are the unsaved dead resurrected to a temporal physical life and given opportunity to be saved? If this is the case, will some unsaved dead fail to respond to the salvation message when resurrected to such a life and be permanently destroyed? 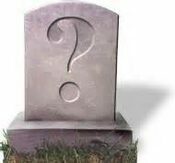 Are the unsaved dead, as some believe, resurrected to physical life sometime yet in the future and based on their decisions are either granted immortal life or annihilated? Such annihilation means some would physically die twice. Hebrews 9:27 states it’s appointed unto man to die once. Yet we see people resurrected to physical life in Scripture who then physically died a second time. Was the writer to the Hebrews thinking in terms of spiritual death or simply making an editorial statement about death in general? We all once die spiritually from the standpoint we all sin and spiritually separate ourselves from God. Jesus came to reconcile us back to God. The giant question before us is whether such reconciliation is for all humans who have ever lived or is it limited reconciliation? Those who subscribe to Calvinistic theology will argue such reconciliation is limited to those God arbitrarily predestines to be saved. It is taught God, in His sovereignty, can save who He pleases and not save who He pleases. While it is true God is sovereign and can do anything He wants to do, is the Calvinistic approach really reflective of what the Scriptures reveal God wants to do relative to the salvation of mankind? Those who subscribe to Arminian theology teach such reconciliation is limited to those who of their own free will in this life choose Christ. Arminians teach that God in His sovereignty wants all humans to be saved but will not pre-determine such salvation for anyone. Under Arminianism, God has provided the pathway to salvation and has given man the freedom to choose or not choose this salvation. Those who don’t choose Christ are either consigned to eternal torment or annihilated, depending on ones point of view. Since billions of humans have lived and died never having opportunity to choose Christ or failing to take advantage of the opportunity to choose Christ, this approach eliminates billions of humans from being granted immortality. For an in-depth study of Calvinistic versus Arminian theology, and a comprehensive discussion of the dynamics associated with the issue of predestination and free will, go to: Predestination and Free Will. As can be seen, the problem with both Calvinism and Arminianism is that it leaves the vast majority of the human race unsaved and facing either eternal annihilation or eternal punishing. If it is only in this physical life that humans have opportunity to be granted immortality, the sacrifice of Christ is limited to a comparatively small group of individuals. Since I do not find eternal punishing supported by the Scriptures, I do not see this as an option as to the fate of the unsaved dead. The only other option as to the fate of the unsaved dead is that they stay dead (annihilation) or have opportunity for salvation after physical death. As already discussed, Scripture shows all humans are made alive in Christ in contrast to all dying in Adam. Therefore, staying dead after physical death is not an option. All humans are made alive in Christ. This must include all the unsaved who have died. Are the unsaved made alive by being given immortality or are they given a temporal life where an opportunity will be given to choose Christ or face annihilation? Will all humans be granted immortal life? The view that all humans will be granted immortality is referred to as universal salvation, universal reconciliation or the doctrine of comprehensive grace. Those taking this view do not see salvation limited to this physical life but believe God will provide opportunity for salvation beyond the grave. It is further believed all humans will eventually respond positively to this opportunity. Some, who take this position, believe there is a place of temporary remedial punishment for the wicked unsaved dead. It is believed those who experience this punishment will ultimately join God in the eternal realm of life in heaven. The problem with this perspective is there is no Scriptural teaching that after physical death the unsaved go to such a place. All that we see in scriptures is that all humans are granted life after physical death (made alive in Christ: 1 Corinthians 15:22) and all humans will be judged (2 Corinthians 5:10). Paul said “we must all appear before the judgment seat of Christ, that each one may receive what is due him for the things done while in the body, whether good or bad.” It would appear that both the saved and the unsaved dead appear before the judgement seat of Christ. Since the saved dead are granted immortality by virtue of being saved, what are they being judged for? It can’t be to determine whether or not to grant them immortality, as immortality has already been granted if they are saved. Jesus said those who have expressed faith in Him have crossed over from death to life and will not be judged. The Greek word translated “condemnation” in John 5:24 is krisis. This word appears 48 times in the NT and is most often translated judgement. The basic meaning of this word is to render a decision. Christ said that if we believe in Him and keep His words we will not face judgement. We will not face a rendering of decision. The decision will have already been made as to our eternal destiny. If this is the case, what purpose is served in the saved standing before God’s judgement seat? A possible answer to this question may be found in what Paul wrote to the Corinthian Church. Paul is talking about building upon the foundation of Jesus Christ. The implication is that we build upon this foundation by how we conduct ourselves as Christians. We all do this with various levels of success and failure. Our success and failure does not determine our salvation. Salvation is guaranteed through faith in Christ. There apparently is, however, reward associated with salvation. Such reward will vary according to our works. This is made evident in a number of Scriptures. Here are just a few. Matthew 5:11-12: Blessed are you when people insult you, persecute you and falsely say all kinds of evil against you because of me. Rejoice and be glad, because great is your reward in heaven, for in the same way they persecuted the prophets who were before you. Luke 6:35: But love your enemies, do good to them, and lend to them without expecting to get anything back. Then your reward will be great, and you will be sons of the Most High, because he is kind to the ungrateful and wicked. While salvation is clearly seen in Scripture as an unmerited gift from God and not based on anything we do or don’t do, there appears to be reward connected with what we do and judgement appears to be for the purpose of determining level of reward. Jesus said God is kind to the ungrateful and wicked. While this statement appears to pertain to the physical realm, does it extend to life beyond physical death? It appears all humans are to be made alive in Christ and appear before God and be judged. If the saved are going to be judged as to rewards for how they conducted themselves while physical, what kind of judgement are the unsaved facing? Is judgement of the unsaved dead a judgement to determine whether they remain alive or is remaining alive a given and their judgement pertains to level of reward as well. If the latter is true, then salvation for the human race is a given and preaching of the gospel should not involve an invitation to be saved but admonition to live moral, ethical lives because we are saved and because our behavior will dictate level of reward in heaven. Let’s review what Paul wrote to the Roman Church. Romans 5:12-21: Therefore, just as sin entered the world through one man, and death through sin, and in this way death came to all men, because all sinned-- for before the law was given, sin was in the world. But sin is not taken into account when there is no law. Nevertheless, death reigned from the time of Adam to the time of Moses, even over those who did not sin by breaking a command, as did Adam, who was a pattern of the one to come. But the gift is not like the trespass. For if the many died by the trespass of the one man, how much more did God's grace and the gift that came by the grace of the one man, Jesus Christ, overflow to the many! Again, the gift of God is not like the result of the one man's sin: The judgment followed one sin and brought condemnation, but the gift followed many trespasses and brought justification. For if, by the trespass of the one man, death reigned through that one man, how much more will those who receive God's abundant provision of grace and of the gift of righteousness reign in life through the one man, Jesus Christ. Consequently, just as the result of one trespass was condemnation for all men, so also the result of one act of righteousness was justification that brings life for all men. For just as through the disobedience of the one man the many were made sinners, so also through the obedience of the one man the many will be made righteous. The law was added so that the trespass might increase. But where sin increased, grace increased all the more, so that, just as sin reigned in death, so also grace might reign through righteousness to bring eternal life through Jesus Christ our Lord. Paul says because sin entered the world through the actions of Adam, death came to all men because all men have sinned. This one trespass, and the subsequent sinning of all humanity, brought condemnation to all men. The sinless life of Christ and His righteous act of sacrifice results in justification that brings life for all men. Paul goes on to say that the law (codified law) was added so sin would increase making grace that much more apparent. When Paul speaks of all men He certainly appears to mean all men. We know that all men have sinned, beginning with Adam. So here “all men” means all men. Since Paul is paralleling the “all men” who have sinned because of what began with Adam with the bringing of life to all men because of what Christ did, it certainly appears “life for all men” means life for all men. Some feel Paul’s use of “many” limits the number of individuals being considered. The word “many,” however, is used within the context of all sinning in Adam and all being made alive in Christ. Paul saying many were made sinners through the disobedience that began with Adam and many will be made righteous through Christ does not reduce the “all men” to less than all men. The context is all men. The actions of both Adam and Jesus stand in relationship to all men, not just many (some) men. Others believe all men are not actually made alive but are given opportunity to be made alive. This perspective is problematic because the contrast is all men dying with all men being made alive. Death is seen as being inevitable for all men because all men have sinned beginning with Adam. Life is seen as inevitable for all men because all men are made righteous (sinless) because of the death and resurrection of Jesus. As already pointed out, Paul wrote the law was added to make sin even more evident so the grace of God could be made more evident. The Scriptures indicate God has allowed for man to experience sin so man can experience His grace. It is apparent God intended that man would sin, earn the wages of sin which God established as eternal death and then have mercy on His human creation by providing deliverance from eternal death through the man Jesus. Romans 11:32: For God has bound all men over to disobedience so that he may have mercy on them all. All humans are born into a sin culture that began with Adam and Eve sinning in the Garden. All humans have sinned to one extent or another. Human nature is a constellation of God created passions and desires that when expressed contrary to the will of God becomes a sin nature which can't submit to God. Paul makes this clear in his letter to the Romans. Romans 8:7: The carnal mind is enmity against God: for it is not subject to the law of God, neither indeed can be (KJV). God gives us the power to choose between good and evil. Choosing good is often difficult because all humans have been born into the sin culture that began with Adam and Eve and have been conditioned by that culture to one extent or another. Under the New Covenant, God gives us the power of His Spirit to help us make righteous choices. Even at that, we still are influenced by evil and fall prey to temptation to behave contrary to God's will. Paul makes this evident in revealing his own struggles. Romans 7:14-25: We know that the law is spiritual; but I am unspiritual, sold as a slave to sin. I do not understand what I do. For what I want to do I do not do, but what I hate I do. And if I do what I do not want to do, I agree that the law is good. As it is, it is no longer I myself who do it, but it is sin living in me. I know that nothing good lives in me, that is, in my sinful nature. For I have the desire to do what is good, but I cannot carry it out. For what I do is not the good I want to do; no, the evil I do not want to do--this I keep on doing. Now if I do what I do not want to do, it is no longer I who do it, but it is sin living in me that does it. So I find this law at work: When I want to do good, evil is right there with me. For in my inner being I delight in God's law; but I see another law at work in the members of my body, waging war against the law of my mind and making me a prisoner of the law of sin at work within my members. What a wretched man I am! Who will rescue me from this body of death? Thanks be to God--through Jesus Christ our Lord! So then, I myself in my mind am a slave to God's law, but in the sinful nature a slave to the law of sin. All that has happened to man since creation appears to be for the purpose of demonstrating to man the negative consequences of behaving contrary to God’s behavioral laws. The human experience appears to be for the sole purpose of learning how disobedience to God’s law ultimately brings negative consequences. Some come to understand the beauty and perfection of God’s behavioral standards during this physical life and to the extent they are able to implement those standards they experience positive results. Many, if not most, of the human race do not come to this understanding or do so only in part and therefore experience the many negative consequences associated with unrighteous behavior. In view of all the Scriptural passages we have covered so far in this series, it appears evident that all humans are resurrected. Resurrection is being returned to life after having been dead. We all physically die. It appears we also spiritually die. Jesus taught we pass from death unto life when we express faith in Him and abide in His word. Since resurrection involves moving from death to life, it appears the believer in Christ experiences a spiritual resurrection while still in a physical state. This spiritual resurrection results in resident eternal death (sin death) being replaced by resident eternal life because of what Jesus did. Paul plainly taught this life and death dichotomy. Roman 6:23: For the wages of sin is death, but the gift of God is eternal life in Christ Jesus our Lord. The Scriptures indicate God created us humans with the power to choose between good and evil, righteousness and unrighteousness. From Genesis to Revelation we see consistent admonition and instruction to choose righteousness. When God gave Israel the Law, He told them to choose life as opposed to death by obeying the Law (Deuteronomy 30). While God has allowed evil to proliferate and even fallen angels to influence human behavior, He desires we make righteous choices in the face of temptation and avoid the consequences of evil behavior. God has not predisposed us to sin by creating us with a sinful nature. We are not born sinners. We become sinners by making sinful choices. For a discussion of the doctrine of original sin, and the sin nature, go to Chapter 9 and 10 of my series entitled "The God Of Jesus." In this physical life God provides us with the ability to exercise free will and experience the positive and negative results that come with the choices we make. In the after life we will continue to have free will. While the saved will already have embraced God’s way, it would be safe to say the unsaved will wholeheartedly embrace it as well when they see the entire panorama of human activity and the misery associated with behavior contrary to God’s will. If this is the case, of what advantage is it to be “saved” before physical death? Those who place faith in Christ and accept Him as Lord of their lives while physical have the seed of immortality implanted while still human which means having the Spirit of God given to them while still human. This group is spiritually born again during their human existence. This provides them greater ability to avoid the consequences of sin, do good works and qualify for greater reward. It is also through this group God can teach righteousness to the world and the message of salvation through His Son. The judgement passages in Scripture indicate everyone, including the "unsaved," will be resurrected and judged as to their conduct while they were physical and be rewarded or not rewarded commensurate with what they did while in the flesh. For the so-called "unsaved" dead, opportunity will be given to accept the salvation that comes through Jesus. With the lessons of the human experience before them, the "unsaved" will experience a change of nature and all will choose the grace of God administrated through Christ. This perspective appears in harmony with the Scriptures we have discussed so far. Paul makes it very plain that as we all die in Adam we will all be made alive in Christ. Since eternal death is what we all experience in Adam, it would appear eternal life is what we all experience in Christ. Paul clearly says that sin brought death to all because all have sinned and the grace of God brings life to all. As pointed out in parts one and two of this series, the punishment and destruction directed toward man as seen throughout Scripture is temporal in nature and has nothing to do with the afterlife. There is no sound evidence to suggest that upon physical death, the unsaved go to a place of remedial punishment with the potential for being punished forever or annihilated for failure to make the right choices. The whole concept of eternal conscious torment is rather ludicrous. Compared to eternity, our physical sojourn on this earth is less than a drop in a bucket. To postulate humans are to be punished for eternity (trillions upon trillions of years) for sins committed during this infinitesimally short physical life span is to postulate extreme injustice. This would be the most extreme example of the punishment not fitting the crime. This would virtually negate the perspective of a loving and just God. .
As already discussed, God created man with the powerful attribute of choice and instructed man to choose righteously. Beginning with Adam, human choices have often been skewed toward unrighteous behavior. When such human behavior becomes sinful beyond what He wants to allow, God has stepped in to bring punishment upon us humans, individually or collectively. The Noachian flood, Sodom and Gomorrah, the judgements upon Israel and other nations and the many examples of individual judgements recorded in Scripture give attestation to this perspective. Most punishment, however, is simply the result of our own human misbehavior. It is simple cause and effect. God isn’t directly judging us when we experience negative consequences of our or someone else’s sinful behavior. God only directly intervenes when necessary to insure His overall will is carried out. Under this view, experiencing punishment for sin is totally limited to this physical life. Punishment is the negative consequences we all experience due to behavior contrary to righteousness. Such negative consequences sometimes result from our own sin, sometimes result from the sin of others and often result from the accumulated sin of centuries of behavior that is contrary to righteousness. We create our own “hell” by how we behave. Sometimes God directly brings punishment for sin as seen demonstrated in the Scriptures. The gospel message is all about righteous living. Jesus began His ministry by preaching the gospel (good news) of the Kingdom. Throughout His ministry Jesus taught the Kingdom was all about righteous living. This is what the Sermon on the Mount is all about. Paul taught the Kingdom is "righteousness, peace and joy in the Holy Spirit" (Romans 14:17). Kingdom living is the focus. Such living is seen as possible in this life and the only way of living in the life to come. Living contrary to the tenets of the Kingdom is what has brought all the negative consequences man has experienced. Under the Universalist perspective, all humans will come to understand the supremacy of God’s way of life and choose that way. Thus freedom of choice is not seen as compromised as some charge, but such choice will be the only choice made because of the lessons of the human experience. The Scriptures teach the saved dead already have immortality residing in them and upon physical death there is a transition to a new dimension of life in the heavenly realm. Some believe this transition takes place at a yet future resurrection when the physical body is transformed into a spiritual body. Others believe this transition takes place upon physical death. This author believes resurrection is a process that began with the return of Christ in association with the judgement upon Israel in the first century. Since that time, for the believer, resurrection is a passing from death unto life resulting in immediate transition to a spiritual dimension of life after physical death. I again refer the reader to my fourteen part series entitled When Does Christ Return. The dynamics of resurrection of the unsaved dead is not clearly delineated in Scripture. The idea of the unsaved dead being resurrected to temporal physical life on planet earth at some point yet in the future is problematical because of the questionable interpretation of certain Scriptures that are used to support this view. This view also sees the incorrigible wicked annihilated. Annihilation of any human appears contrary to Paul’s statements regarding all dying in Adam and all being made alive in Christ. To conclude some humans will be made alive only to be annihilated (made dead forever) is tantamount to saying some will be made dead in Christ. The whole force of the Gospel message is that Christ has defeated death and brought immortality to light and in Christ life reigns and not death. As covered earlier, some believe the unsaved dead will be granted life immediately after physical death and placed in a location where temporary or remedial punishment will be administered for sins committed while human. After a time of experiencing such remedial punishment, repentance will occur, sin will be forgiven and entrance into the heavenly realm will be facilitated. While this sounds like a reasonable solution to the unsaved dead problem, there is no Scriptural evidence for this approach. Finally, the idea of eternal conscious punishment is extremely problematic as this would necessitate God granting immortality to the unsaved dead for the sole purpose of consigning them to eternal torment. Yet it is this idea of eternal conscious punishment that is most often used to deny that all humans will receive eternal life in the heavenly realm. In part five of this series, we will examine objections to the proposition that all will be saved and granted immortality.